Margaret Evangeline Wilson (née Beard) (1890-1977) continued her academic studies after attending the Royal Academy through sojourns and campaigns in Paris and Italy. 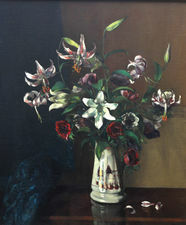 She exhibited widely, including at the Royal Academy, Walker Art Galleries in Liverpool, Royal Society of Portrait Painters, the Royal Scottish Academy, Society of Women Artist and at the Paris Salon. 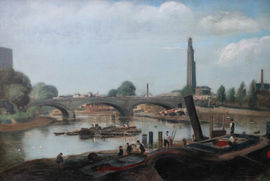 Works by the artist may be found at the London British Museum and Victoria and Albert Museum, also in London.